I found out who created the graphic below! 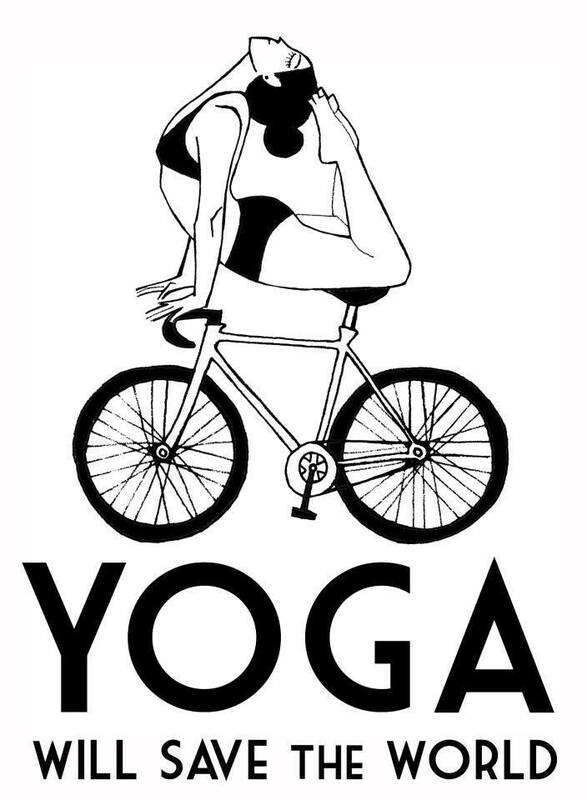 Her name is Rebecca Wilson – she is a graphic designer and has a groovy website/online shop called Yoga Will Save the World featuring limited edition clothing and calendars and other items for the yoga and bicycle lover in your life. So glad she reached out! I love her stuff.